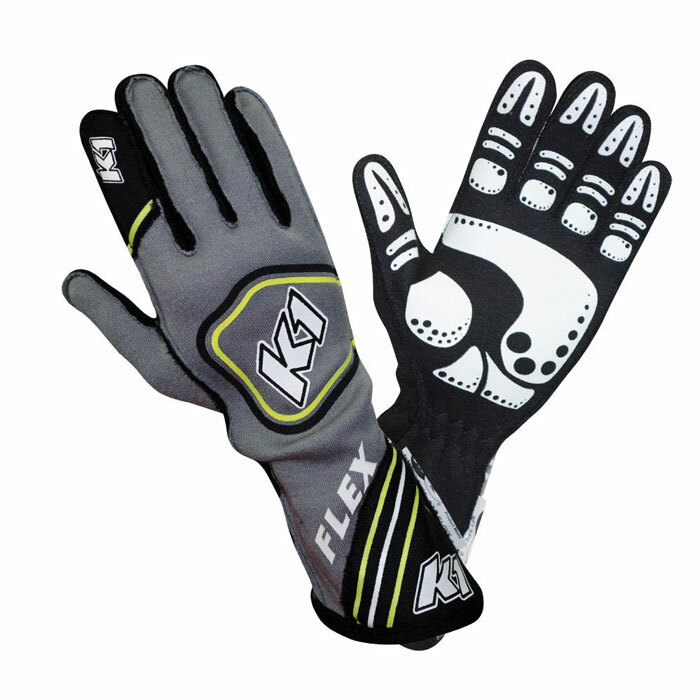 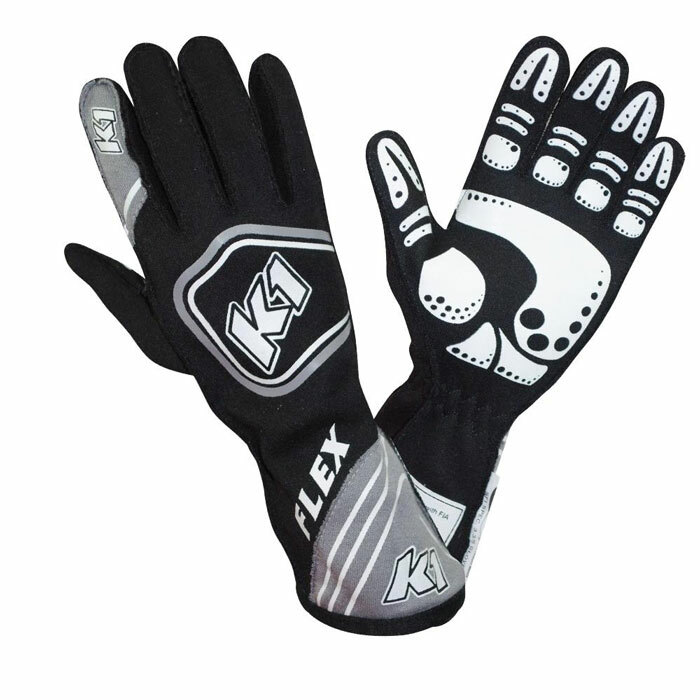 The K1 FLEX Nomex Glove is our most advanced, premium driver's glove to date. 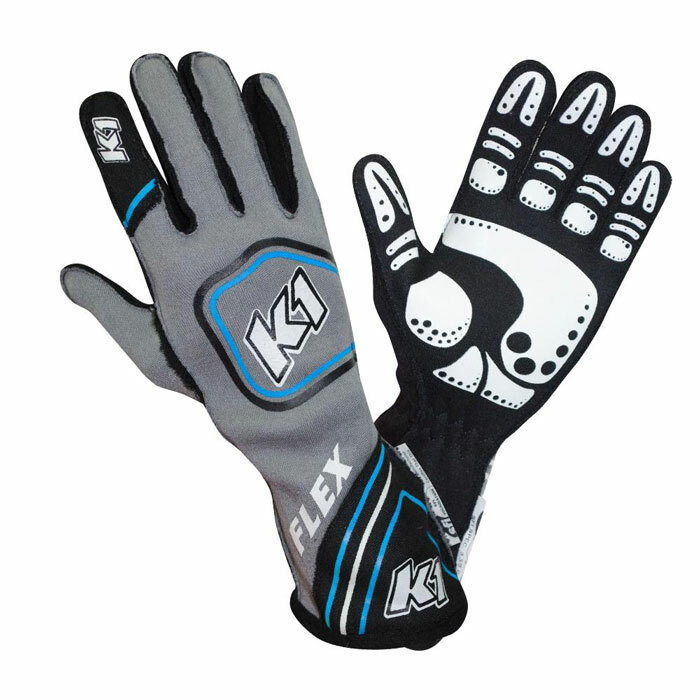 Complying with both FIA 8856-2000 & SFI 3.3/5 homologation standards, the FLEX glove is constructed with the absolute highest quality lightweight bonded Nomex on the market. 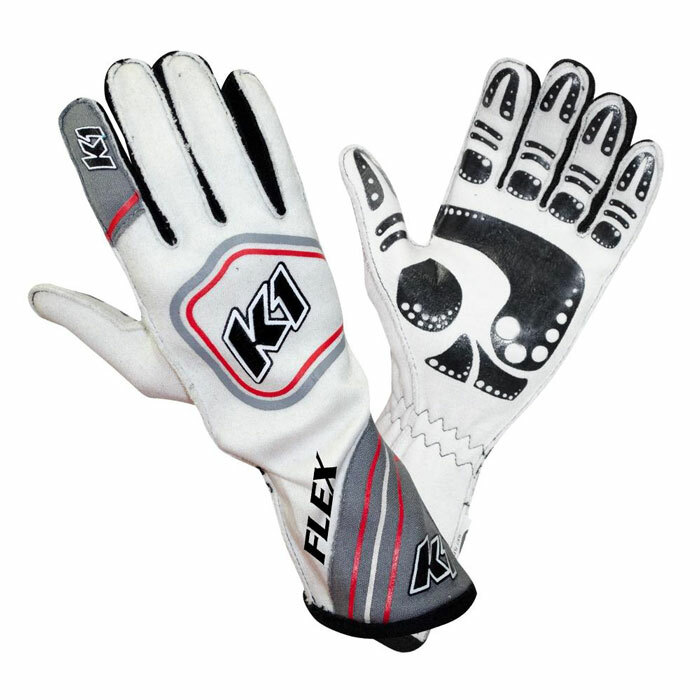 Featuring a seamless, pre-curved palm and finger design that naturally flows with the contour of the hand, the palm of the FLEX glove is strategically engineered with an ultra-grip, fire resistant silicon surface for improved flexibility, grip and comfort. 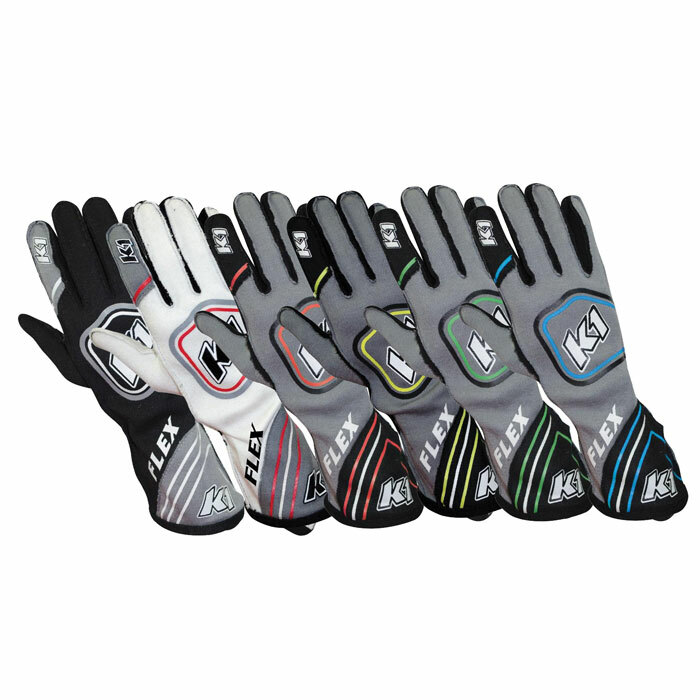 This ultra-lightweight glove is built with minimal external stitching and is available in premium contrasting Fluorescent and standard colors.